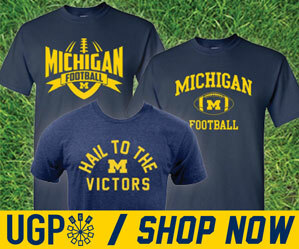 It would appear the John O'Korn era at Michigan has begun. 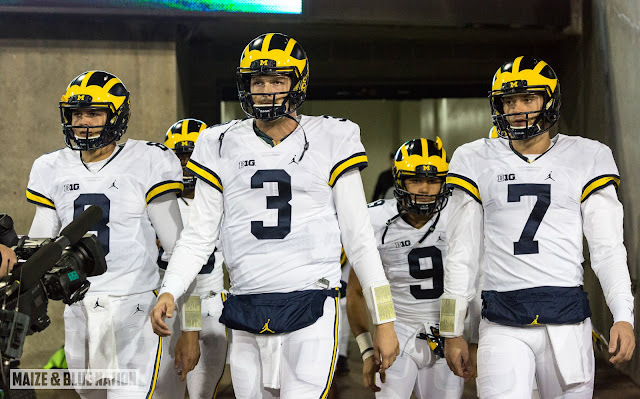 Well, it's MGofficial, Wilton Speight will miss the remainer of the season with a broken collarbone. He also suffered a broken collarbone in high school. It is now John O'Korn's turn (I'm assuming) to take the reigns of the Michigan offense. I don't have much to offer in terms of actual insight as to what an O'Korn offense will look like...we've only seem him spaingly in garbage time this season. His season stats: 13 of 18 for 114 yards and a pair of touchdowns. He's seen time in all but 3 games this year, Wisconsin, MSU and Iowa. O'Korn does add a mobility aspect to the offense which will allow coaches to run some spread-option types of plays...so that's a thing.